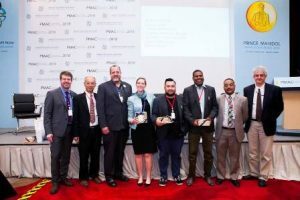 Prince Mahidol Award Conference 2019 held in Bangkok highlighted detrimental impact of NCDs including mental health conditions on sustainable development and the projected economic cost to developing countries of over US $ 21 trillion between 2011 and 2030. Calling on countries to take urgent action to combat climate change and its impact, and ensure healthy lives and promote well-being for all at all ages, including by reducing premature mortality from non-communicable diseases (NCDs) by one third by 2030 through prevention and treatment, ending malnutrition in all its forms, and promoting mental health and well-being, was the Prince Mahidol Award Conference 2019. Held in Bangkok from February 1-3, the conference leaders reaffirmed their commitment to the 2030 Agenda for Sustainable Development. Called also as chronic diseases, NCDs kill nearly 41 million people annually which s equivalent to 71 per cent of all deaths globally, as per World Health Organization (WHO). Deeply concerned by the growing burden of NCDs including cardiovascular diseases, cancers, chronic respiratory diseases and diabetes, as well as mental health conditions and their shared risk factors (tobacco use, unhealthy diets, physical inactivity, harmful use of alcohol, and the environmental determinants) globally and especially in low and middle income countries, the conference committed to act on the vast majority of premature deaths from NCDs (86 per cent) and the disproportionate impact on poorer people and communities. Ministers of Health, representatives of government institutions, civil society organisations, communities, academia, the private sector and development partners and participants gathered in to learn, share experiences and commit to act. Keeping the theme of the conference in mind, ‘Political Economy of Non-communicable Diseases: A Whole of Society Approach’, the conference highlighted the detrimental impact of NCDs including mental health conditions on sustainable development and the projected economic cost to developing countries of over US $ 21 trillion between 2011 and 2030. “While dealing with NCDs is a complex set of issues, this conference provided much of the “public view” as it was not sponsored by the industry (as I could not see any),” said Dr. Arun Gupta, Central Coordinator, Breastfeeding Promotion Network of India (BPNI). He further said that “The statement makes recommendations on way forward especially recognising and embedding commercial determinants of health as mainstream work”. In order to achieve the NCD targets, the conference recalled the commitments in Political Declarations of 2011, 2014 and 2018, in which Heads of State and Government and their representatives, recognised that effective NCD prevention and control requires whole-of-government approaches and that there was a need to protect public health policies for NCDs from “undue influence by any form of real, perceived or potential conflict of interest, active industry”. One of the recommendations suggested by Dr. Gupta is “establishing and regularly convening multi-sectoral coordination structures that enable effective cross-sectoral actions”. “This should include safeguarding and managing conflicts of interests which unduly influence NCD prevention and control policies, adhering in particular to Article 5.3 of the WHO Framework Convention on Tobacco Control (WHO FCTC) that calls on Parties to protect policies from commercial and other vested interests of the tobacco industry in accordance with national law,” he said. Concerned by the persistent lack of adequate, predictable and sustained resources and institutional capacities required to address NCDs in primary prevention and health systems responses and fulfill national and global commitments, the conference acknowledged the important role played by all relevant stakeholders. It stated, ‘Aware of the economic, commercial and market factors which contribute to NCD burdens and inequities and require specific attention, including through strengthened regulatory systems and governance structures which identify and address conflicts of interest’. To encourage the development of evidence-based global framework treaties, standards and norms that address health-harming products, including but not limited to alcohol and products high in saturated fats, simple sugars and salts, the conference pledged to stimulate the development of framework legislation at national, global and regional policy levels. A mechanism for providing catalytic financing to support countries in developing targeted, prioritised and fiscally sustainable national NCD response plans and structures was envisaged in line with the relevant resolutions of the ECOSOC, the Political Declaration of the Third high level meeting of the General Assembly, the recommendation of the WHO Independent High-Level Commission on NCDs.